“You give your best for our wedding! The result is just amazing. I’ve got the best memories. You were so nice with us. It was really a pleasure meeting you. Celine & Jay, Es Vedrá, Ibiza. Steph & Keenen, Villa Can Caterina, Ibiza. 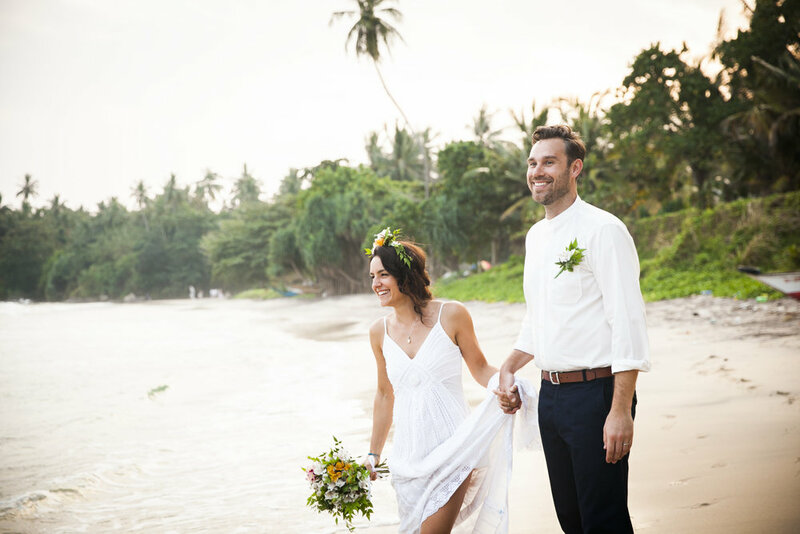 “Jeremy effortlessly captured so many magical moments from our wedding day in Sri Lanka. He is so relaxed and discreet and we honestly didn't notice he was taking all the photos that he did. We wanted a relaxed style to match our beach wedding and Jeremy really delivered professionally and with expert results - we are completely blown away! Thank you Jeremy for telling our story in pictures! We are so so happy! Nick & James, Hotel Areias Do Seixo, Portugal. Beth & Gwyn, Amante, Ibiza. Jeremy did a fab job capturing our big day in Ibiza, he is super easy going and really enjoyable to have around, we were sad to see him go at the end of the night! Thank you so much for all the awesome photos.